Apps4Review.com | TAP and SMASH – Fun Arcade Game, Best one ! 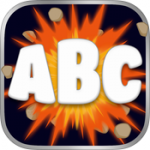 TAP and SMASH – Fun Arcade Game, Best one ! 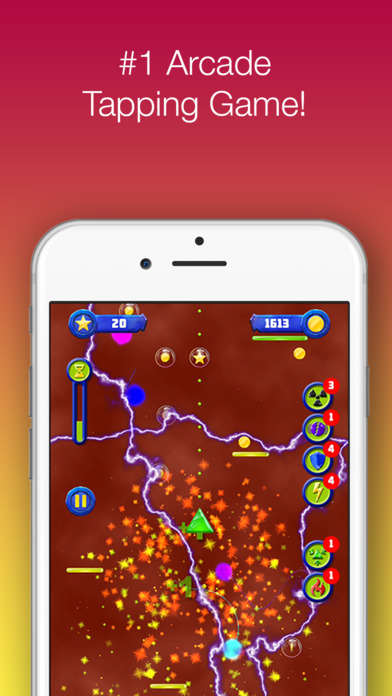 Tap and Smash is like a blast from the past – from the design, the graphics to the music and the sound effects. The game is a very simple tapping game to earn points, with a sleek and very old-school graphics reminiscent of arcade games like Pinball or Lines 98 (with its funky-colored balls – the colors you see on your Paint palette). The electronic music and its accompanying sound effects can also make you feel like you are transported to an Arcade, and strangely, back to your childhood when you spend hours playing those kinds of game. The game is simple – you tap to move up a straight line to hit stars and coins, and avoid wandering balls at the same time by stopping and waiting for them to pass. That simple, and yet, it is so addictive. The good thing is that the game is fun and exciting, however you may just spend hours on it to beat your own high score (like I just did). Tap and Smash helpfully has lines on the screen (6th, 5th, etc) to show you your position on the high score board, which entices players to spend more time on the apps and also encourages competition among friends. Imagine this: you have a group of friends in a circle, and your phone can be passed around so that for everyone to try and beat the highest score. Or, your friends can download the app and you can compare scores by linking to Facebook or sharing via other social media. 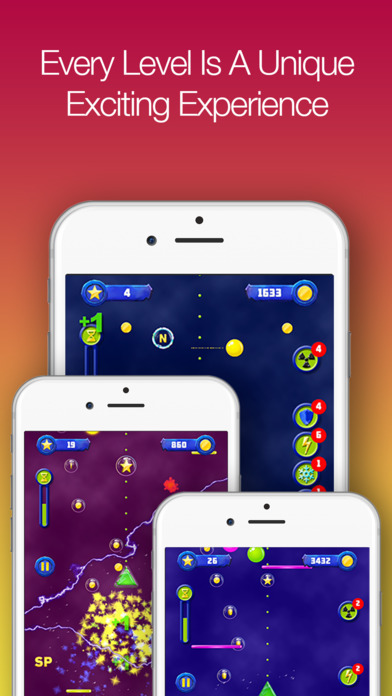 Tap and Smash offers some power-ups like Nuke to destroy all solid balls, or Turbo to speed up. You can get them using coins you earned throughout the game, or bought packs of coins as in-app purchases (for $0.99 you get 500 coins which can get you 10 to 20 power-ups, depending on which power-up you want – a rather reasonable price). My personal favorite is Nuke – it’s satisfying watching those annoying balls all blow up clearing your way to stars and coins. There’s also a spinning wheel you can try after the game is over – each spin costs 100 coins and you get random rewards from more coins to power-ups. Pros: The game is unique in the current market in its simplicity and funky design – the market is rather saturated with sleek, complicated games so a simple but addictive one like Tap and Smash can be refreshing. The rules are simple so that everyone can play and it encourages competition and group playing. Power-ups can be purchased at reasonable prices and there are options to continue the game after you’ve lost your game life, which is always very much appreciated. Cons: The game sometimes pushes for too much sharing. After you finish each game, a box automatically pop up asking you to share your score or take a screencap to send to friends, which can be annoying. Overall verdict: A great game that invokes a lot of nostalgia for old-school arcade games. Fun, simple and addictive, Tap and Smash has great potential to bring groups of friends closer together.